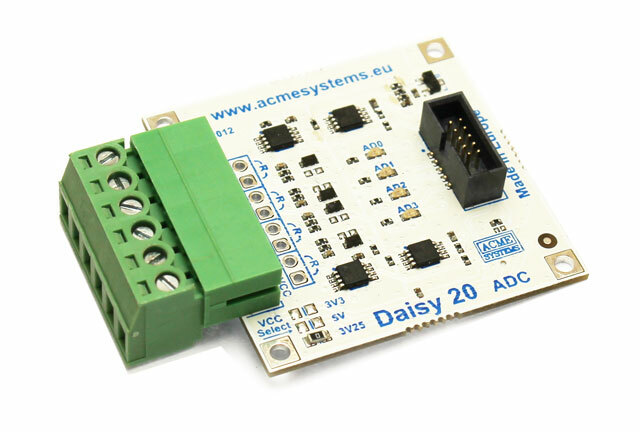 The Daisy-20 is a front-end module for 4 channel built-in A/D converter available on the Terra and FOXG20 boards. The A/D lines are available on a pluggable terminal block with a pitch of 3.8 mm. On the FOX Board G20 is requested a Daisy-1 adapter.